The very old variety was first mentioned in 1515 as Borbolenques in today's département Vaucluse in the Provence and mentioned in 1538 as Borbollenque near Avignon. The name probably derives from a vineyard called Barbolenquiera near Avignon. 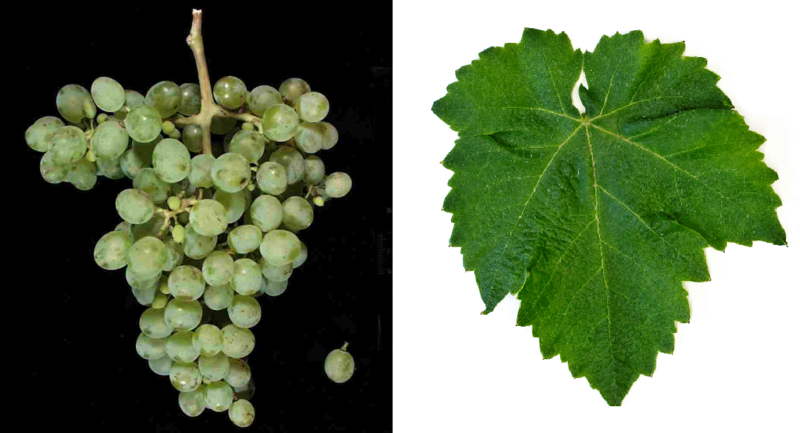 The late ripening variety is prone to genuine ones mildew, but resistant to drought or drought and Botrytis, It produces acidic white wines with moderate alcohol content and citrus aromas, which are mainly used for blending. The variety is in southern France in the regions Provence. Languedoc-Roussillon and Rhone grown. She is among other things in the appellations Bandol. Cassis (there Doucillon), Châteauneuf-du-Pape. Corbières. Coteaux d'Aix-en-Provence. Côtes du Rhône. Faugères. Grignan-les-Adhémar. Languedoc. Lirac. Luberon. Minervois. Saint-Chinian. Tavel. Vacqueyras and Ventoux authorized. In 2010, a total of 583 hectares were reported in France with a decreasing trend (ten years earlier, 772 hectares). This page was last modified at 16 December 2018 at 12:55.